Like many players in the American Association, an independent professional league, Luan Chenchen discovered baseball while in elementary school. He began playing in a school club and later, when others began to find new interests in the usual suspects of video games, soccer, or school work, Chenchen continued to play and excel at the sport. His talent led to him standing out from his peers; he rose to higher and higher levels of competition. His combination of batting left-handed with some power and being a self-described “short and round” kid led to a coach calling him Baby Ruth, a nickname that stuck. While stories like this are common in professional baseball, Chenchen did not learn the game in some Sun Belt suburb or on a city sandlot. Instead, he found it while growing up along the banks of the Yellow River in the northwestern Chinese city of Lanzhou. Chenchen is the current catcher and designated hitter for the Texas AirHogs. Being a Chinese-born professional player may be unusual in baseball, but he is far from unique among his teammates. In fact nearly 30 players on the team are members of the Chinese National Team. 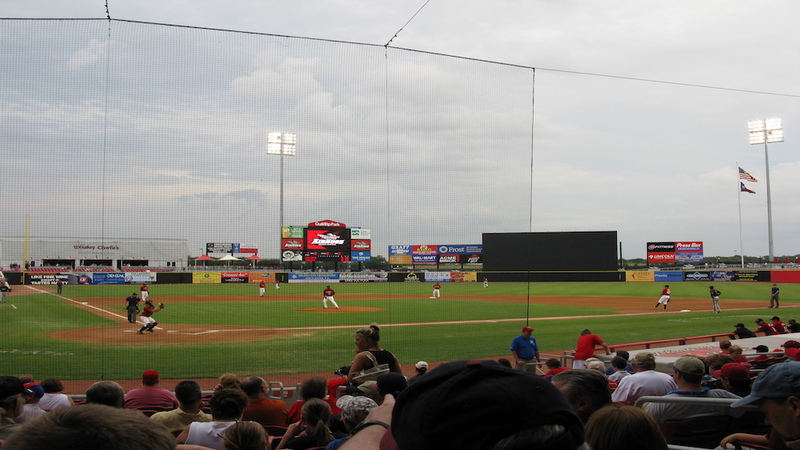 The AirHogs play in Grand Prairie, a suburb between Arlington and Dallas, just six miles east of where the Texas Rangers play at Globe Life Park. AirHogs Stadium is in an entertainment area that features a mid-sized concert venue past the outfield fence and Lone Star Park, a horse racing track whose proximity to the ballpark and shared parking lot would likely have offended the post-Black Sox sensibilities of Commissioner Kenesaw Mountain Landis. Attendance for the games ranges from sparse during the week to several thousand on weekends but the fans are a loyal, communal bunch, waving at familiar ushers and casually discussing the game with strangers across the aisle. To have the bulk of another country’s national team play in the middle of an American baseball league is rather groundbreaking but it came about in a fairly innocuous way. An AirHogs team executive was approached by the Chinese Baseball Association (CBA), and an arrangement was made for members of the team to play in Grand Prairie. The Chinese team is sponsored by Shougang Sports, part of the large Shougang Corporation, which has been one of the CBA’s primary player development partners. As part of the three-year deal, the team is now officially referred to as the Texas AirHogs powered by Beijing Shougang Eagles. Take that, Los Angeles Angels of Anaheim. Thirty players from China joined the team for the season, with 13 on the active roster for each game. The American Association has been supportive of the developmental arrangement between the AirHogs and Chinese Baseball Association, although some rival teams and players were initially skeptical. Much of the concern stemmed from worry that the Chinese National Team players’ skill would be akin to that of players in the more established leagues in Japan and Korea, and would dominate the American Association. If that is true, it isn’t reflected in the standings; the AirHogs are currently in the cellar of the league’s South Division. Other teams also worried that the rotation of players in and out of games would leave the AirHogs more rested over the long grind of the league’s 100-game schedule. The rest of the team’s roster is the usual mix of independent league players, with former major league pitchers Tyler Matzek and Carlos Contreras joining one-time prospects Stewart Ijames, Correlle Prime, and Casio Grider. All these players hope to sign with a major league team and continue their careers in affiliated ball. Their hopes are buoyed by this year’s major league success of former AirHog Chris Martin of the Texas Rangers. The Chinese National Team even brought its coaching staff, anchored by former Colorado Rockies and Seattle Mariners manager John McLaren, who became the team’s skipper in 2013. Joining him were hitting coach Jim Johnson and pitching coach Larry Hardy, both baseball lifers who spent time playing and coaching at various levels before McLaren asked them to join him. Johnson first became the Chinese National Team hitting coach prior to the 2017 World Baseball Classic and has also spent time with the team in various training camps in Arizona, Japan, Florida, and the three MLB Developmental Centers in China. They are joined by six Chinese coaches. The CBA’s goal in this endeavor is to improve Chinese baseball as it prepares for various upcoming world games. The first of these will be the Asian Games, which will be hosted in Indonesia this August and September. The tournament will be the first test of the American-trained players. They will compete against traditional powerhouses like Japan and South Korea and, to a lesser extent, Taiwan, or Chinese Taipei as it is called in international games. The Chinese Baseball League typically plays shorter seasons than the other Asian leagues, with 30 games on the schedule spread over 10 weeks. The Chinese players in Grand Prairie passed that mark five weeks into the 2018 schedule. Team officials hope that this added game experience and time spent together will put the players on a more equal footing with the those from Nippon Professional Baseball, the Korean Baseball Organization, and the Chinese Professional Baseball League of Taiwan. While the Asian Games are more immediate, even cutting into the American Association’s schedule this year, the big prize for the players is the 2020 Olympics in Tokyo. Baseball will be returning to the Olympics for the first time since 2008 and the Chinese want to be one of the six teams competing for a medal. When I asked Luan Chenchen what his baseball goal is, he did not hesitate to say “The Olympics,” cutting off the team’s translator for the only time during our interviewy. From the fans to the team employees to the players themselves, there is an excitement born of equal parts novelty and love of the game in AirHog Stadium this season. The players have been amazed by the experience. Outfielder Song Yunqi spoke of how beautiful the stadium is and how happy he is to be there everyday. Even having played professionally in China and for the Chinese National Team, his proudest moment in baseball was getting to see his AirHogs jersey. Every game I attended, I heard buzz among the fans about the experience. This ranged from the typical in-game grousing or praise heaped on players, to curiosity from people who, unaware of the AirHogs partnership with the Beijing Shougang Eagles, wondered why the Chinese National Anthem was also being played before the start of the game. Team executive Billy Martin Jr. spoke with enthusiasm, remarking on the partnership’s historical significance and how all the players are working together. He wondered what Chinese players were talking about among themselves, and showed an eagerness to join their conversation. Martin and other team officials who interact with the Chinese contingent remarked that even with a language barrier, cultural differences, and a backdrop of political intrigue, the ballplayers in the AirHogs’ dugout were just young men in their 20s dedicated to playing baseball, who loved hanging out with their friends and eating hamburgers, just like their American teammates. Pitcher and former Diamondbacks farmhand Taylor Wright spoke of how he has come to appreciate the small gifts his Chinese teammates have given to him; though small, each signified part of their budding friendship. In December of 2014, Jeff Banister, newly hired as the Texas Rangers’ manager, spoke at a Dallas-Fort Worth SABR meeting. He was asked about his experience working with Rinku Singh and Dinesh Patel, two Indian players who won their spot on the Pirates after appearing on an Indian reality television show. Their experience was subsequently adapted into the book and movie Million Dollar Arm. Banister spoke about how Singh and Patel had the raw talent to be ball players. Indeed, what held them back was not a language barrier; players who speak different languages play side-by-side daily across the bigs. Rather, they lacked experience speaking the same language of baseball as their Pirates teammates. That was what proved the most difficult for them to learn. I was reminded of Banister’s remarks when speaking with Casio Grider, an AirHogs utility player and former Dodgers farmhand. Grider pointed out how, from locker rooms inhabited by Yasiel Puig and Joc Pederson to those in the winter leagues, professional baseball now often features players from different countries. Coming to a team made up mainly of Chinese players wasn’t that different. They all managed to speak the language of baseball. Grider expressed surprise at how much Chinese he has learned since his teammates’ arrival. Both he and pitcher Wright said Google Translate has been their friend; its use is common in the clubhouse. The Texas AirHogs (powered by Beijing Shougang Eagles, of course) have encountered issues both common and uncommon for teams in the American Association. One Chinese player told me that the city of Grand Prairie can be a bit boring, with nothing for players to do when they are not at the stadium. And while the bright lights of downtown Dallas, not to mention the theme parks and sports teams in Arlington, are only 10 minutes from the AirHogs, for a group of men with tight schedules and no cars of their own, they might as well be as far as their hometowns of Jiangsu, Sichuan and Inner Mongolia. Broadcaster Joey Zanaboni noted that players would take off their helmets while waiting in the on-deck circle. He learned that American batting helmets fit these players poorly; the Chinese players took them off to reduce discomfort and headaches. And small differences of habit emerged. The players will routinely share a bat; it is not uncommon to see a batter hand his bat off to the upcoming hitter when he is retired. Several of the Chinese players would, when walking to the batter box, stop to give the umpire a small bow of the head. As they have gotten more use to the American ways of baseball this habit has began to diminish but one wonders if this may have helped to curry favor on close calls on balls and strikes. Both the AirHogs and the Chinese National Team hope the team’s time in Texas will help raise baseball’s profile in China. For over a decade, Major League Baseball has made its own efforts to popularize the game in China. The first significant foray into the country was the 2008 China Series, in which the San Diego Padres and Los Angeles Dodgers played two spring training games at Wukesong Stadium. While stadium’s seating capacity was modest, both games were sellouts, with 12,224 fans in the stands. The games resembled a standard major league spring training game, right down to between-innings entertainment. Wukesong played host to a trivia contest, but instead of the questions on obscure team records or important historical events, the video showed a runner getting a hit and crossing first before asking the fan if that was a single, double, triple, or home run. Baseball in China has been growing. All the players to whom I spoke began playing the game in elementary school clubs, then found ways to continue playing as they got older. Some played in one of MLB’s three training centers. The training academies are currently located in Wuxi, Changzhou and Nanjing, with MLB planning to open over 20 more. The goal of the these academies is to find and develop new talent and to open new marketing opportunities in a country home of more than a billion people. The first academy opened in Wuxi in 2009. One member of the first class was current Airhog Luan “Baby Ruth” Chenchen. 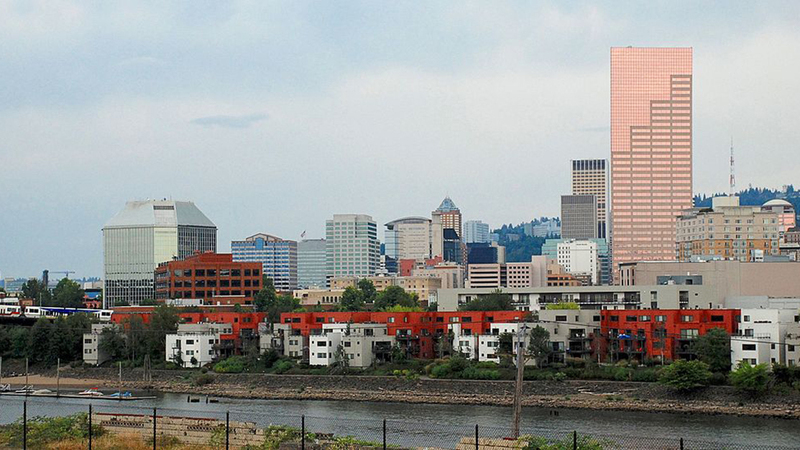 The centers function primarily as private secondary schools. For most of the day, players attend class, just like any other student in China. After classes, the students receive several hours of baseball instruction from ex-major and minor league players and coaches. While none have made the majors, several players have already been signed out of the training centers, with the first being Itchy Xu by the Baltimore Orioles. Hai-Cheng Gong was signed by Pittsburgh, while Justin Qiangba joined the Red Sox. The most recent player to be signed was Jolon Zhao, who joined the Milwaukee Brewers. Baseball’s arrival in China actually predates its introduction to Cuba and Japan. The man believed to have brought baseball to China was American medical missionary Henry William Boone. The Shanghai Base Ball Club is thought to have been founded no later than 1863. Beginning in 1871, the Qing Dynasty began a program called the Chinese Educational Mission. Groups of students were sent to the United States to study in America’s best schools, after which they trained and worked in various businesses and civic institutions. The missions would last for 15 years, at which point the students would return and take up positions of leadership back home. This ambitious program lasted until 1881, when Chinese officials expressed displeasure at, among other things, the students’ involvement in baseball, with the bulk of the group playing the sport and some even getting in trouble for skipping class to participate in games. The sport’s modern legacy is more fraught. Given the country’s political history in the 20th century, it’s not surprising how baseball and politics intertwined in China. The game was picked up by nationals who lived abroad and was brought back and played recreationally. Sun Yat-sen, the man considered the father of modern China, was a fan of the game. Born in 1866, he was sent to Hawaii to attend school when he was 13. During his four years on the island he was exposed baseball, which he took to immediately. At some point prior to the 1911 Republican Revolution, Sun organized the Changsha Field Ball Society with his political party. However, this club evolved into something more than just a group of friends meeting for competition. It was used to train revolutionaries, with other “teams” being formed by the group as political unrest grew. Marshal He Long, who formed an early unit in the Chinese Revolution of 1949 and was named head of the National Sports Commission, was also a fan. During his time at the commission, he promoted baseball, especially among military units. It was said that baseball was good training for throwing grenades. However, interest in the sport grew beyond those whose interest lay in improving their military skills. The sport was included in the first National Games in 1956 and in 1959, the New Chinese Baseball Tournament was held. It featured over 30 teams representing towns, provinces, and military units. The sport essentially disappeared from China during the Cultural Revolution, as many activities considered too Western were prohibited. Sergeant Du Kehe, a star player in the 1950s, recounted later that his former coach was “struggled,” a common term for state harassment, until his death due to his involvement with the sport. Baseball did not make its reappearance in the country until 1975, when a new stadium was built in Beijing and national competition began again. Since then, China has slowly become more active on the international stage, playing in various world contests including the Asian Games, the Olympics, and the World Baseball Classic. In 2013, the Chinese National Team beat the team from Brazil by the score of 5-2 during the WBC’s opening round of play. China later lost against Japan and Cuba by a combined score of 17-2. The highlight of China’s competitive baseball history was the opening game of the 2008 Summer Olympics in Beijing. In front of a home town crowd, China beat Chinese Taipei (Taiwan) 8-7. The team lost its remaining games resoundingly, but the quality of play continues to improve. The CBA hopes the partnership with the AirHogs will continue the trend, pushing the game forward. On the field, the AirHogs had a difficult start but as the American Association nears the halfway point of its 100-game schedule, the team has improved noticeably. The games have become more and more competitive, with close contests becoming the norm and wins coming more frequently. When we spoke earlier in the season, Luan Chenchen said through a translator his biggest surprise was learning that he was able to compete with American players. During recent weeks, he has registered several multi-hit games, hit a game-winning RBI, and showed himself to be a quality receiver. He spoke of how manager McLaren has a motto of “Get better every day.” The team has taken the motto to heart. Part of the success has been a result of the Chinese players learning to make adjustments to the American style of baseball. In China, pitchers don’t typically throw inside. The AirHogs’ new pitchers had to alter their pitch selection, while the batters lacked the experience to turn on an inside pitch. Another adjustment was going from a league where the pitchers routinely top out at 85 mph to one where fastballs around 90 mph are the norm, and can hit 95 mph. One question team officials have asked is what happens next. What will happen to these players? What will happen to Chinese baseball? And what is the next country to try something similar. What’s happening in AirHog Stadium is already getting noticed across the Pacific. In the crowd, men armed with radar guns and notepads sit in the scouting section, watching the team. This particular group isn’t there to watch Stewart Ijames make defensive stops in right field or to see if Tyler Matzek is once again showing the sort of potential that made him a first-round pick. No, this group of scouts is in North Texas from Taiwan and they are there to focus on the the Chinese players, eager to see if their political rivals will turn into true baseball rivals as well. The answer to that question will be found in the Asian Games, the Olympics, and on whatever field the players the MLB training centers produce eventually roam. But right now, the answer lies in Grand Prairie, where you can watch history being played nine innings at a time. Special thanks to the Texas AirHogs powered by Beijing Shougang Eagles for their access and willingness to answer questions. A special special thanks to Liu Xing Ping, team translator and all around awesome person. Eric Robinson is a Fort Worth, Texas-based writer, researcher, and presenter on baseball history and sometimes more. He is co-chairman of SABR's Asian Baseball Committee. For more information please check out his website, Lyndon Baseball Johnson, and/or Facebook page. I drive past the AirHogs’ ballpark on the way to work every single day and had no idea this is happening. This is an incredible story. Time to go to some games. No mention of Rafael Palmeiro? I listened to the latest episode of Effectively Wild, and they mentioned both Palmeiro and his son are on the team. I realize this is not the focus of the article, but it seems like an interesting side note. Hello Scooter, I haven’t listened to that particular episode of the podcast but Rafael Palmeiro and his son actually play for the Cleburne Railroaders another North Texas team in the American Association. That might be another story for someone out there to write.